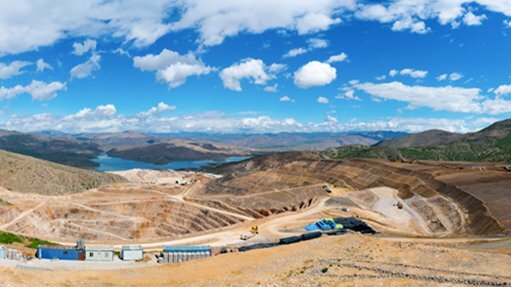 PERTH (miningweekly.com) – Gold miner Alacer Gold has reached its 2018 production expectations, with the Çöpler mine, in Turkey, producing 170 865 oz of gold. The full-year production was in line with expectations of between 160 000 oz and 230 000 oz. Alacer on Friday reported that 147 619 oz of gold was produced from the oxide plant, while a further 23 246 oz was produced from the sulphide plant, with all-in sustaining costs reaching $615/oz. “We had a productive last quarter which resulted in us producing 170 865 oz of gold in 2018,” said Alacer CEO and president Rod Antal. “Last year’s gold production represented a key milestone for the company as it included the first production from the newly constructed sulphide plant. The performance of the sulphide plant continues to meet our expectations,” Antal said. 21 916 oz of gold was poured in December, which was the first full month of sulphide plant operation.